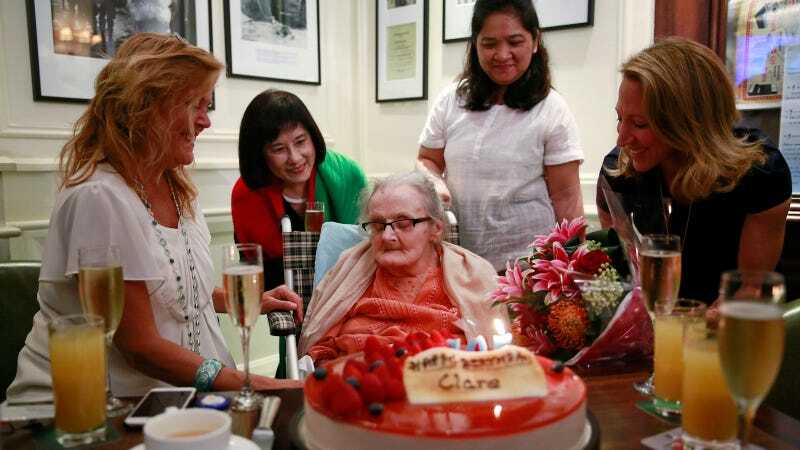 Legendary war correspondent and journalist Clare Hollingworth, perhaps best known for breaking the advent of WWII, died on Tuesday in her home in Hong Kong, the New York Times reports. She was 105. Hollingworth was born on Oct. 10, 1911, in Leicester, to a family that owned and operated a boot and shoe factory. The Times notes that Hollingworth’s family had conventional expectations for her and insisted she attend domestic science college near her home. She later wrote that “although it is useful to be able to make an omelet,” her training in domestic science caused her to “hate having anything to do with housework.” She was briefly engaged, but broke it off and horrified her parents by announcing an intention to go into journalism. Hollingworth went on to study at the School of Slavonic and East European Studies at University College London, then the University of Zagreb in Yugoslavia. She began working for the League of Nations Union, who dispatched her to Warsaw. Towards the beginning of 1939, she is credited with aiding thousands of refugees in their escape from Nazi-annexed Czechoslovakia to Poland. ...She watched as the wind lifted a piece of the tarpaulin that had been erected on the German side to screen the valley below from view. Through the opening, Ms. Hollingworth saw, she later wrote, “large numbers of troops, literally hundreds of tanks, armored cars and field guns” concealed in the valley. She knew then that Germany was poised for a major military incursion. Hastening back across the border to the Polish side, she telephoned her editor with the news, a world exclusive. Her article was published in The Telegraph on August 29, 1939. On September 1, World War II began as Hitler’s forces invaded Poland. “I wasn’t frightened,” she recounted in an interview with the Telegraph in 2014, from the modest apartment in Hong Kong where she lived, just around the corner from the Foreign Correspondents’ Club.